I'd love to say no, but the answer is it depends on what the theme is using jQuery for. 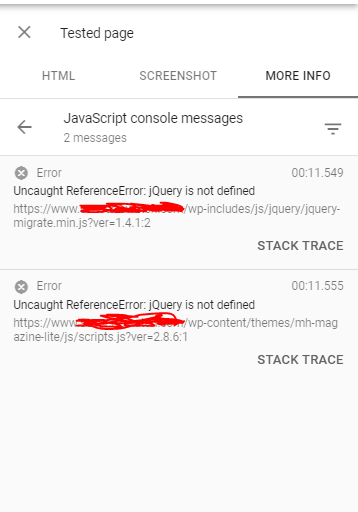 Since you are running WordPress, and the theme code is referring to jQuery incorrectly, a lot of the theme functionality would not work. If that means that the theme's layout is broken or some of the touch elements (links, menus) are misplaced (or worse, not working), then I'd say you would suffer in ranking terms.